Barron’s is bringing together some of “the world’s most informed and most influential investors” for The Art of Successful Investing Conference on October 15 in New York. Their list of “investing luminaries” includes founders, presidents, CEOs, and chairmen, but not a single woman. Really? 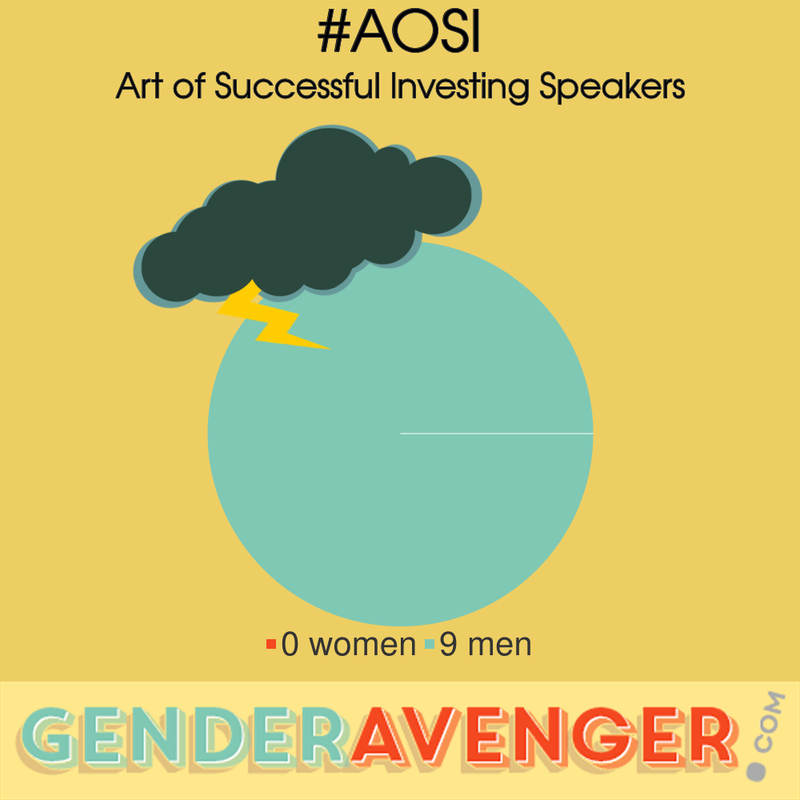 There is not one woman among an international lineup of investors? We want answers. Tweet, post, or write to Barron’s and ask them for one good reason why there aren’t any women in their conference. Let’s make ourselves heard and get some answers! Thanks to GenderAvenger Pledge Signer Steve Bouchard (@sbouchard67) and Women's Leadership Institute Australia (@WLIAus) for the heads up.